Visiting France on a regular basis, I always enjoyed a glass or two of chilled rosè, particularly on trips to Provence, but never became excited about them, preferring the wonderful French white and red wines always available. Then it happened! 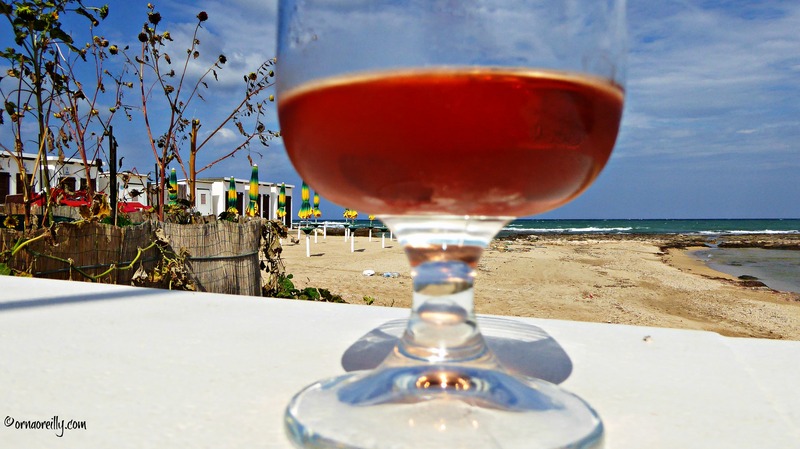 Just five years ago, on my first visit to Puglia, I noticed several fellow diners drinking pink wine and decided to see what it was they were obviously enjoying. I sampled my first glass of Pugliese rosato (Italian for rosè). It was made from the Negroamaro grape and I was hooked on the spot. 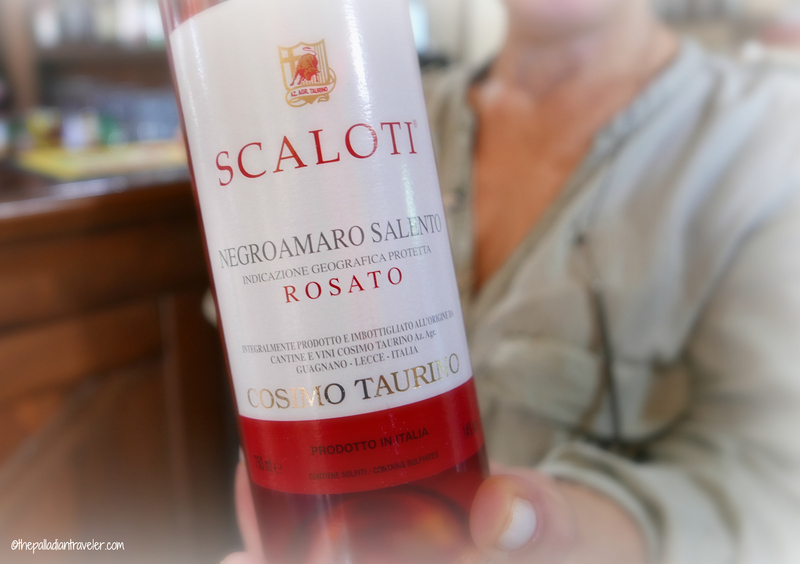 The rosato wines from Puglia have terrific body and taste and are excellent with absolutely all the local foods. They are versatile enough to be served any time during a meal, from aperitivo right through to the end with antipasti, pasta, fish or meat. And even with dessert. Try a Malvasia rosato with fish, or a rosato from the Bombino Nero grape with pasta and the local burratina cheese. Result: Heaven! Because of the geography of Puglia, being located on the peninsula which forms Italy’s iconic “stiletto heel”, it is surrounded by water. The mild winters and hot breezy summers, where the Tramontana wind from the north makes the conditions perfect for growing grapes and olives. The soil is rich and bathed in sea breezes from the Adriatic and Ionian Seas. 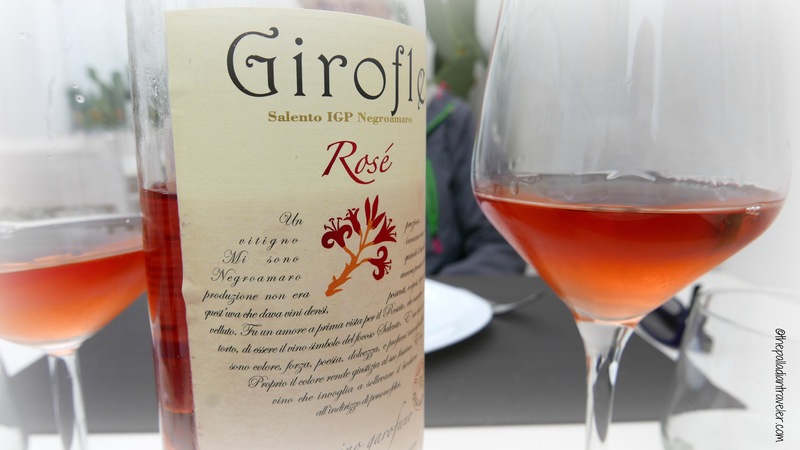 The result is that Pugliese rosato wines, and others from southern Italy, are more full bodied than those from up north in the Veneto and other wine producing areas of Italy. The three main grapes used in the Pugliese wines are Negroamaro, Primitivo and Malvasia Nera. These are all black grapes and are used to make the rosato wines along with Bombino Nero and Nero di Troia. To make rosato, the black-skinned grapes are crushed and the skins are allowed to remain in contact with the juice for the first couple of days, then removed. This process is called “maceration”. 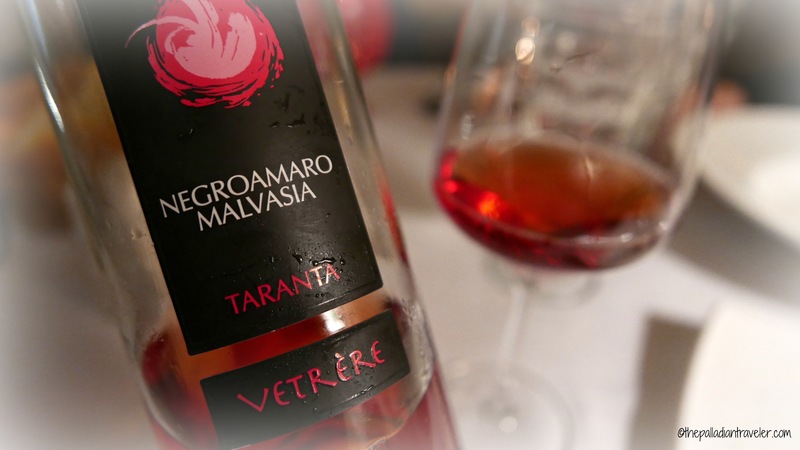 Most of the best rosato wines I have enjoyed from Puglia and its Salento peninsula are made from the local Negroamaro, Malvasia Nera or Bombino Nero grapes. Negroamaro (Italian for black-bitter) makes up about a third of the wine produced in the region. Popular Primitivo, with its blackberry taste, makes a very popular red, and is also used to make rosato. The Primitivo grape ripens early and the result is a wine that is fruity and rich. Apparently, it is the same grape as California’s Zinfandel. 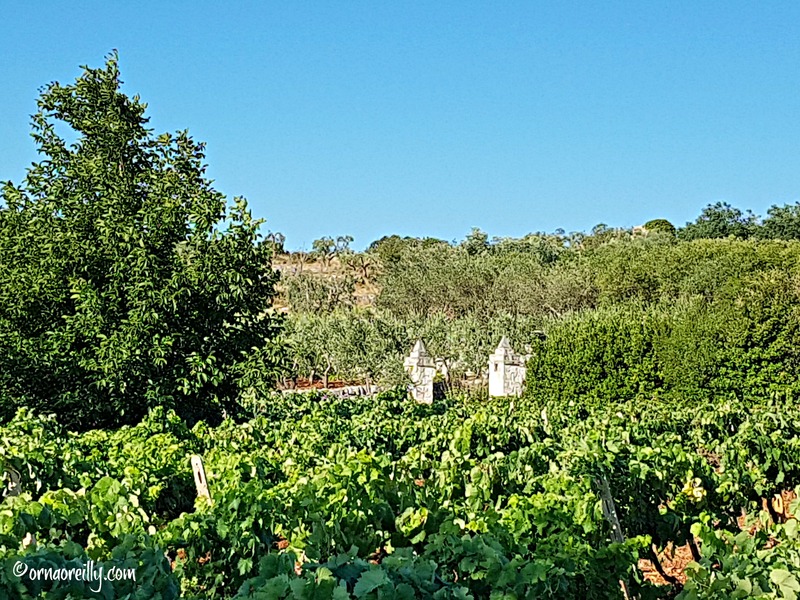 My last experience in Puglia introduced me to these delicious wines. My favorite was the Primitivo, the same grape as the California Zinfandel I was told. But I loved them all…nice post, Orna. 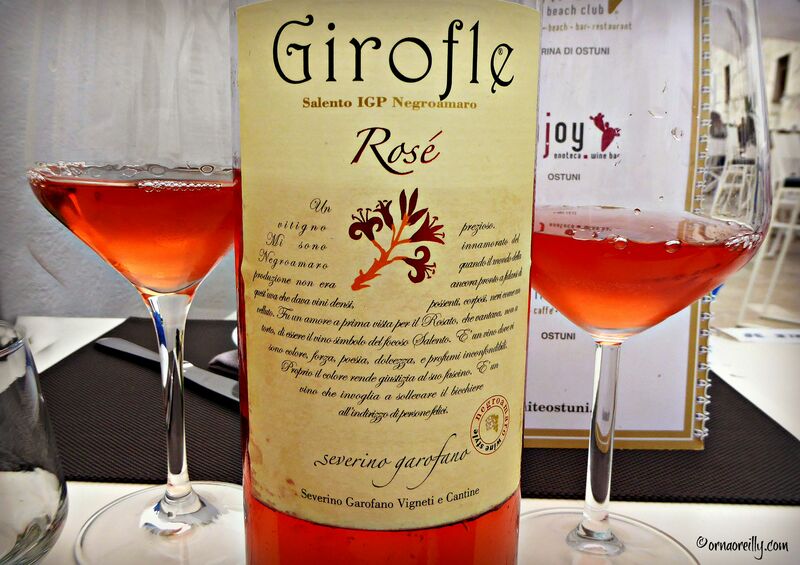 Interesting, it appears all the Puglia Rosato’s are IGT/IGP. No DOC’s include Rosato? It sure looks like you have found a beautiful corner of Italy to call home! Such gorgeous images! I think everyone will fall in love with this post. Nicely done, Orna. 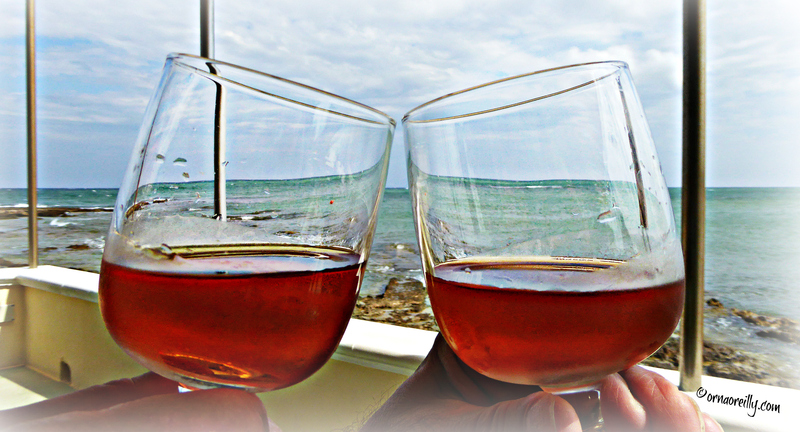 Hard to resist the panoramas of the Puglia and the tastes of vini rosato; what a combination. Brava! I have started enjoying a glass of wine on a trip to Tuscany, 4 years ago. I don’t really drink any other kind of alcoholic beveranges, but a glass of good wine is always special. 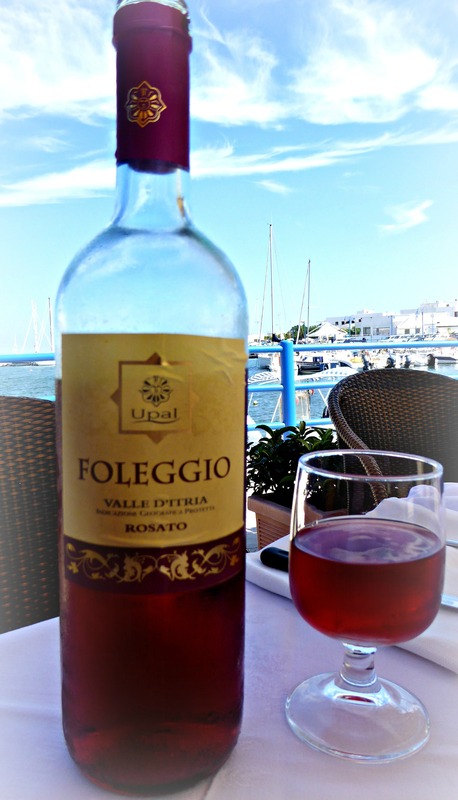 I have to say I’m amazed that you missed the delicious rosato as it’s very popular here in Puglia. We drink it all the time, especially at this time of year, as it’s so refreshing. You will have to try it next time! Lovely pics and great advice. 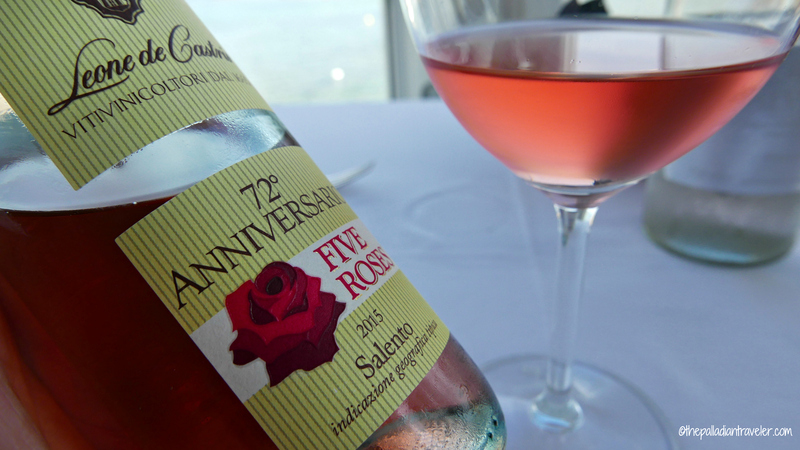 Agree about the rosato. Delicious. Sounds and looks great – and gorgeous color in your cover photo to carry the theme. Thanks Karen. Love the pink wine and sunsets here in Puglia. Salute!